Add rustic farmhouse style to your dining space with the Paloma reclaimed wood dining set from iNSPIRE Q® Artisan. 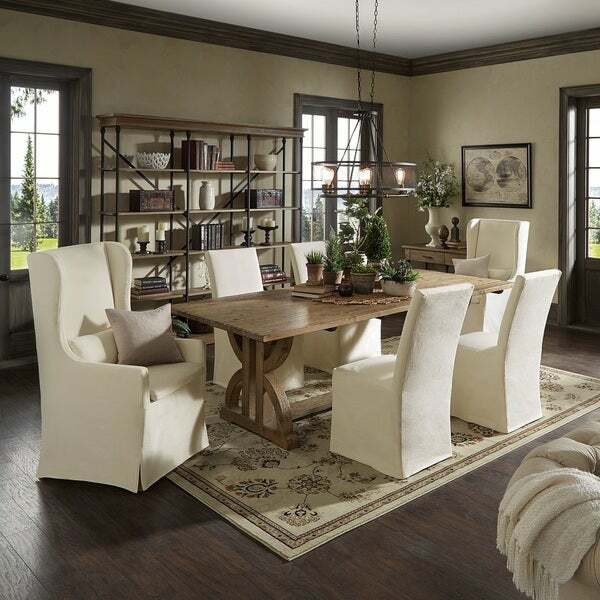 The trestle table features distressed wood for an understated, yet exquisite design. The dining chairs feature classic details like a wingback design and cream cotton fabric. The beige linen button tufted benches are perfect for adding additional seating. The 96-inch rectangular dining table can accommodate large group settings and dinner parties.